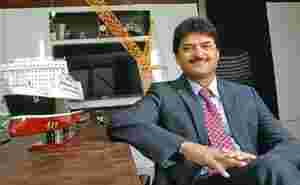 Mumbai: Shashi Kiran Shetty, 53, chairman and managing director of Allcargo Global Logistics Ltd, came from Mangalore to Mumbai looking for a job when he was 21. After working with four shipping firms, he set up his own company that became an agent of Belgium-based ECU Line NV, the world’s second largest LCL firm, in 1995. LCL (less than a container load) firms collect small cargo and aggregate them into a full container load. Indian logistics firms are buying Chinese companies. Allcargo has bought two freight forwarding companies. What is the rationale? China generates five times the volume of India. Hong Kong and Shanghai are the two largest markets and we cannot leave these markets to agent companies that are not owned by us. The freight forwarding companies have large operations in China. They are also former agents for ECU Line, and hence, we are familiar with the people in these firms. Is it part of your plan to go global? We became a global company by acquiring ECU Line and now we are trying to plug the missing pieces. We cannot afford to miss China for the future stability of the group and cargo network. Considering the cargo network as a whole, you cannot restrict yourselves to India. Unless you align all the offices to the network and think like one large group, you will always have issues. We acquired them to create synergy and have a common understanding to move our group in a certain direction. Will you go for more overseas acquisitions? Certainly, we will examine opportunities abroad. We had bought a company based in London called SHE Maritime just before the Hong Kong acquisitions. That acquisition was aimed at increasing our market share. The broad idea of the acquisitions is to boost sustainability of business, have a common philosophy and exploit market opportunities. From a market perspective, we will look at the US, where we are currently represented by an agent. But it is not absolutely necessary that one should be present in every market. It has to make commercial sense. It must come at a reasonable price and has to have a strategic fit. We are not interested in creating a string of pearls across the world. In terms of LCL, Allcargo is the second largest firm in the world. How are the other segments faring? We are one of the largest in the world in non-vessel operating common carrier (NVOCC) business. In the CFS (container freight station) and ICD (inland container depot) business, we are one of the largest in India with four facilities operating and the fifth starting in Dadri (near Delhi). We are planning to rapidly expand the ICD footprint across India. We aim to grow by setting up our own facilities or acquisitions. In the third line of business—project cargo and engineering solutions—we offer end-to-end solutions up to erection of plants. We also supply cranes and other equipment for projects in areas such as oil and gas, offshore, windmills, cement, and steel. We offer transportation, consultations services, engineering solutions and erection of plant. We send a team of experts to advise the client in erecting the plant. You are planning to enter third party logistics (3PL)—transportation, warehousing and distribution. We will be getting into 3PL business shortly. We will have 400,000 square feet of warehousing space and offer the entire supply chain management solutions for our customers. It is an emerging business. Once the government rolls out the goods and services tax Act, there will be huge demand for big mother warehouses in strategic locations as well as small warehouses. Fortunately, we have a huge land bank in Mumbai, Delhi, Chennai and Bangalore. We had acquired these land parcels of around 300 acres across the country to build logistics parks and ICDs. You have entered into coastal shipping by acquiring two ships. Our entry into coastal shipping is to supplement our project cargo business and to exploit coastal trade opportunities. We want to explore bulk cargo opportunities as well. Our ships will carry bulk cargo, and not container cargo. At one point of time, you had plans to get into offshore. We are not getting into offshore. We had plans, but we did not pursue it as it requires too much of investment and we were not comfortable as we were new to that sector. You miss a rail link while your rivals have it. Worried? I am quite happy for not getting into this business. We will enter the business at the right time. At a right valuation, we are open to acquiring a company as well. We believe that we can add value to the business as we are having CFSs, transport, volumes and the last-mile capability. Rail is something that eventually we need to build, buy or partner. Where do you see the company in the next two years? The idea is take the company to $1 billion by 2013-14 and we want to be traded among the Nifty 50. This financial year, we will end with a turnover 3,000 crore. We will accomplish this goal through organic and inorganic growth. But your stock is not doing well. We believe that our share prices are grossly undervalued today. This is because people benchmark us with Gateway Distriparks and there aren’t too many public companies in the logistics space. What people don’t understand is that we are a global company and we are far more diversified. Gateway Distriparks, on other hand, is only present in CFS and rail. For the last six years, our Ebitda (earning before interest, tax, depreciation and amortization) have been growing by 28% CAGR (compounded annual growth rate). But the market does not realize this. We are suffering for two reasons —there is no benchmark and there is low liquidity on our stock. There is no volume trade happening and that is why investors are wary about coming into our stocks right now. They feel that if they buy today, they will find it difficult to sell the stock given the low liquidity. Besides, investors are careful about buying midcaps and we are a victim of that in spite of preforming so well in the last six years. I am sure there is a way out. We will have to dilute a bit. We are open to selling if it is going to help create liquidity. We will do that at an appropriate time. There can be a follow-on issue, but we have not yet decided.